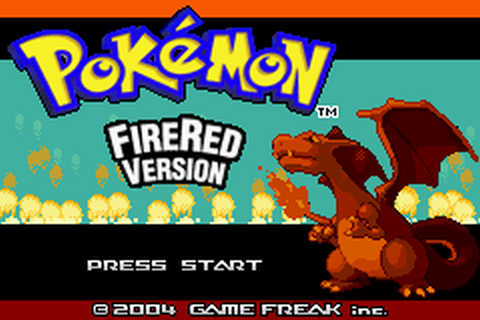 Found this terrible amazing ROM hack with ninjaskarmory a few months ago. 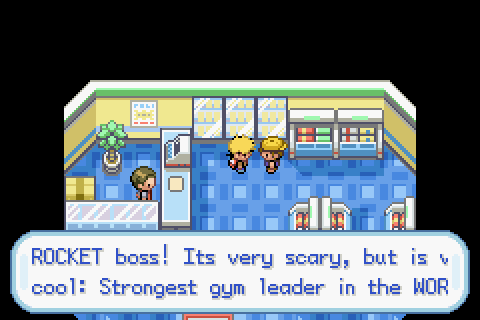 It is called Pokemon Extremely Fire, and it seemed like a perfect first Nuzlocke for me. 1. 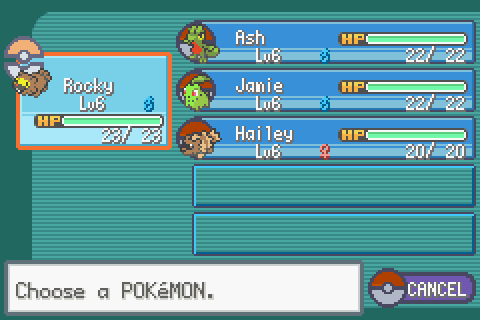 Pokemon must be nicknamed, so I can "bond closer" with them. 2. If a Pokemon dies, it's gone. I will be moving it to the PC so I can keep track of who I lost, but I will not be withdrawing them ever again. 3a. 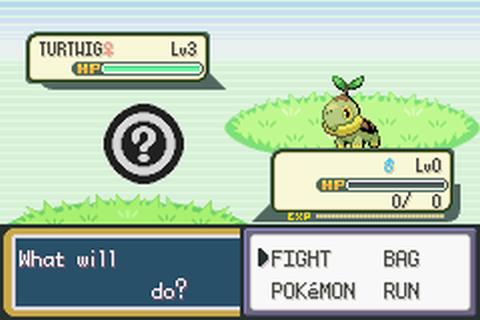 First encounter in each area is the only catch I can make in that area. 3b. 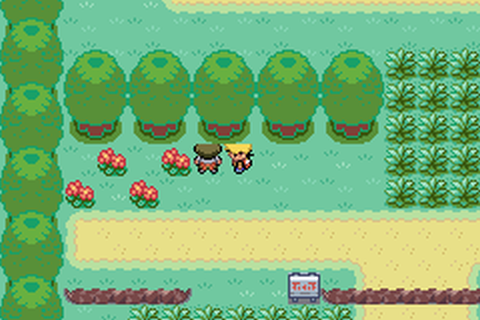 If the first encounter in an area is a Pokemon I've already found, I can choose to capture something else from the area I don't have (AKA dupes clause). 3c. Encountering a shiny overrides rule 3a. Looks normal, right? We'll see about that shortly. 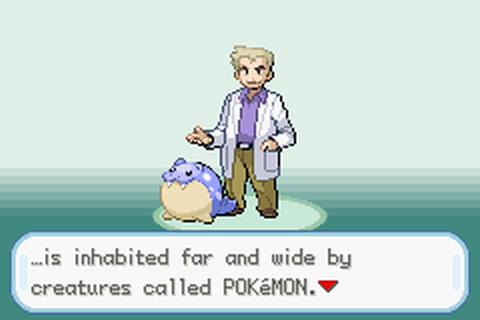 Is that a Spheal? 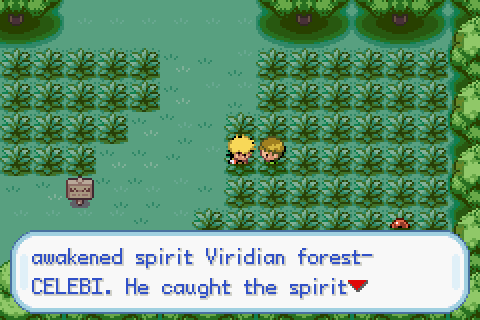 I don't remember that being there in the actual FireRed. 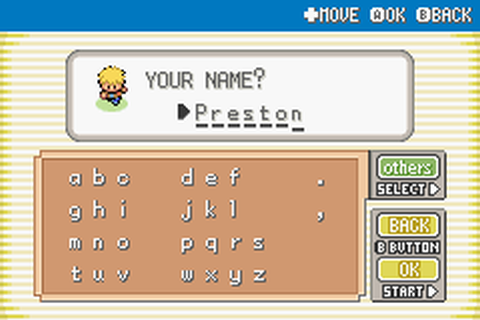 Anyways, the overworld sprite looked like a Preston, so we're gonna name him Preston. 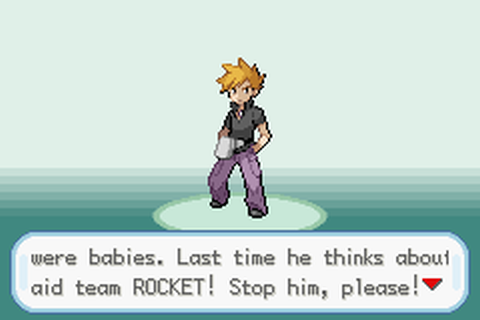 Watch out guys, my rival thinks about aid team ROCKET! The grammar in this game is quite fun. 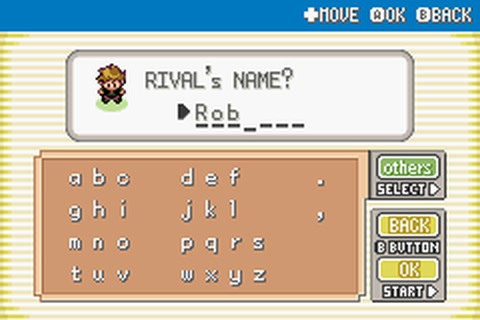 Because Team Rocket ROBs people of Pokemon. Hah. 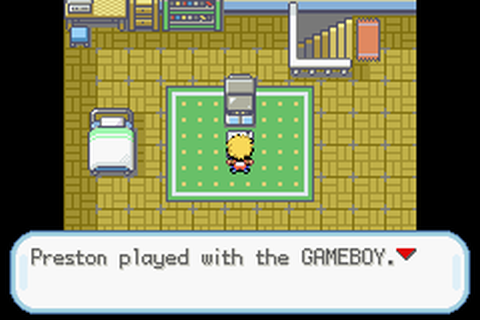 Does the original FireRed have a Game Boy in the protagonist's room too? It's been too long for me to remember. This was in the PC in my room. Very nice. 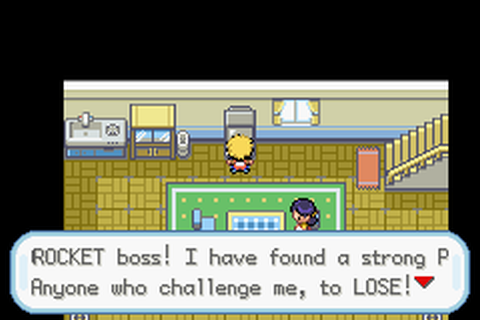 Don't challenge the Rocket boss and his strong P! 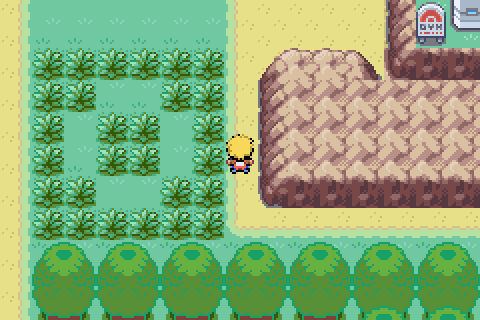 There was accessable grass right below Pallet Town that I was dumb enough to not screenshot. So I went in it for fun. 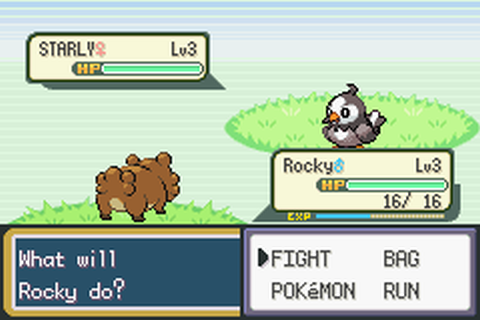 After reloading the ROM, I started up to Route 1, like normal. 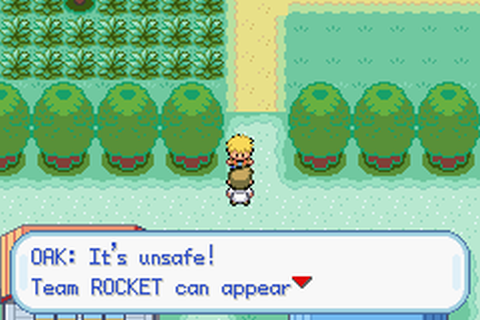 Little did I know, Team Rocket was probably waiting for me. Also note the different colored path. Yikes. Now for the "new" starters. 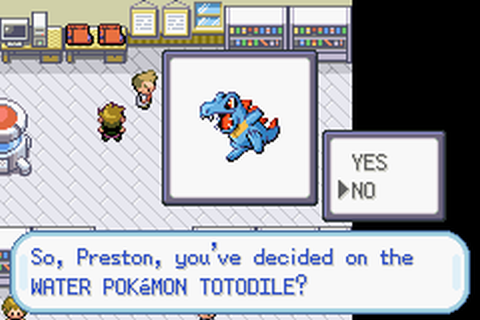 Guess the hacker got lazy about describing Totodile. I really like grass types, and Sceptile is awesome. 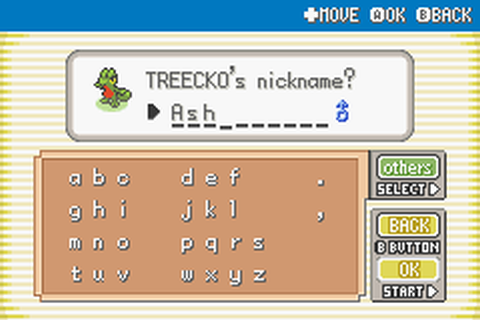 Ash is a tree. 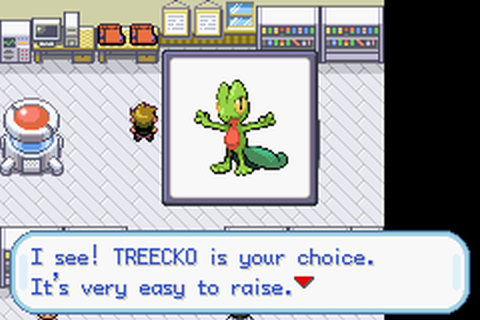 TREEcko. I love my jokes. 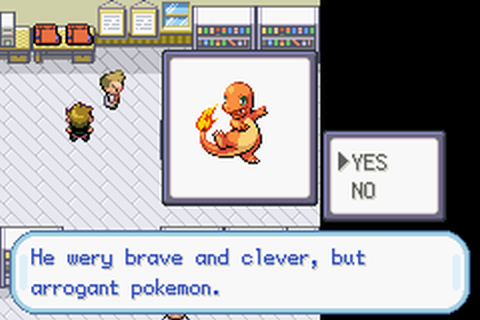 So naturally, my rival picked Charmander. Obviously won the battle. 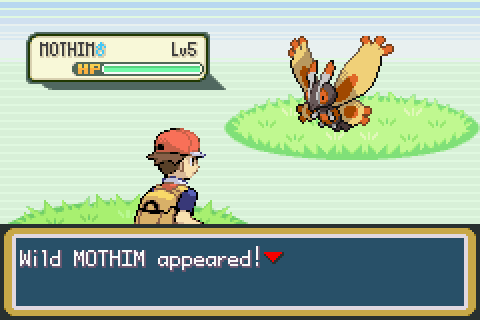 Caught it with a Pokeball from my PC. 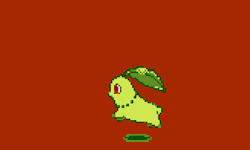 Anyway know what its nickname is a reference to? 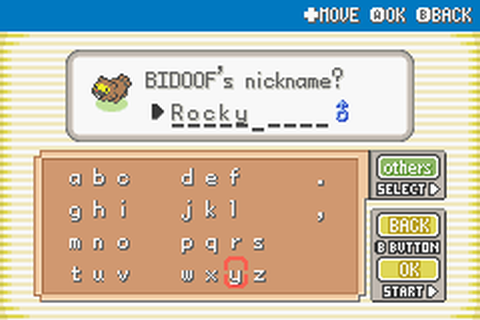 Hm… is it a reference to "Rocky" Rocket the Squirrel? Yes! 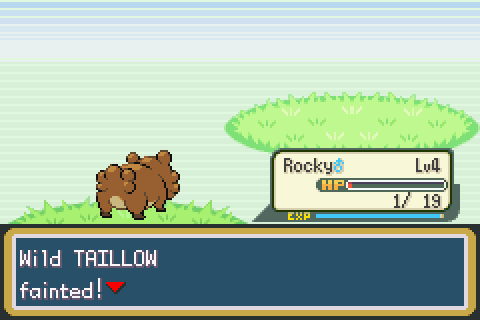 I was afraid no one would get that because I forgot Bidoof was a beaver, LOL. Well it's close enough for me! I was trying to think which Rocky would make the most sense and Rocky the boxer and Rocky Horror Picture Show didn't make quite as much sense. I never realized you were a fan! How long have you known about the show? 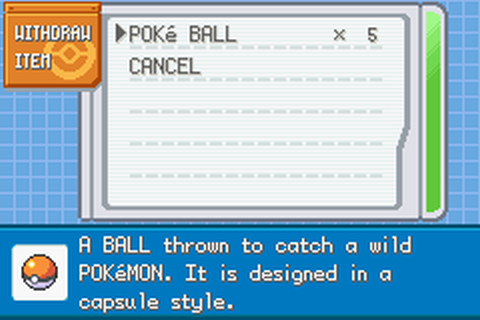 Starly was not eligible for a catch, but it really bothers me how it's completely off-centered. 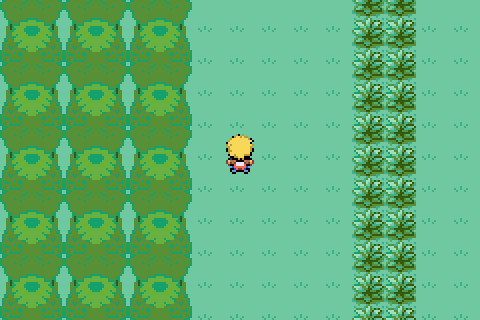 10/10 would get head cut off by bad tree sprite again. 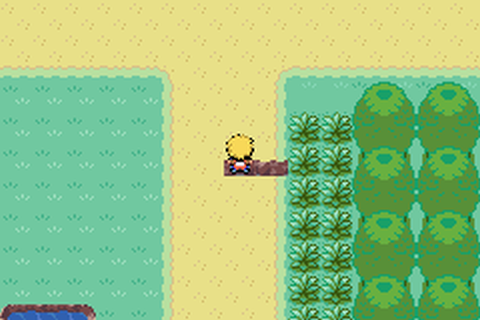 10/10 would walk through cliff again. 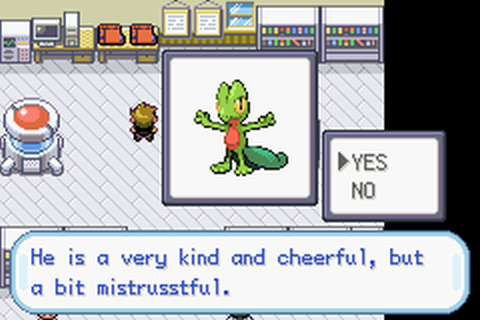 Made it to Viridian City, then was told by Mewquazabsol that I could make a catch at the grass in Pallet Town due to a "gift clause". 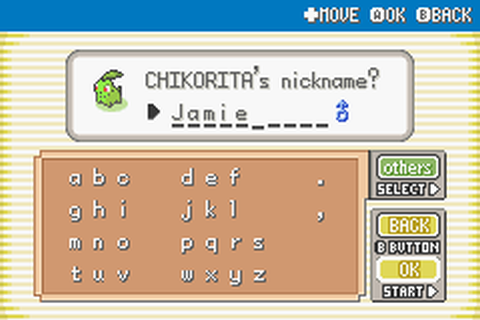 Chikorita! 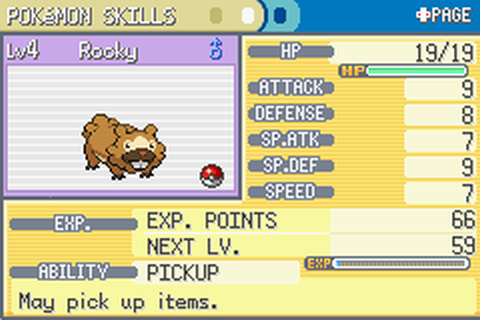 Probably the last starter I'd want to add to my team. 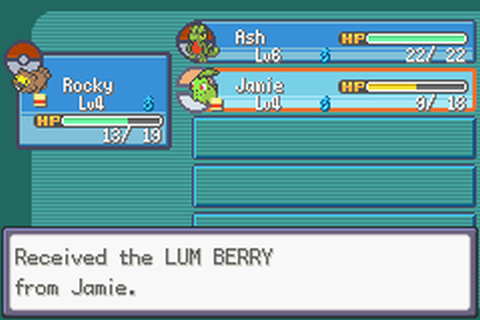 Successfully caught, and named Jamie. 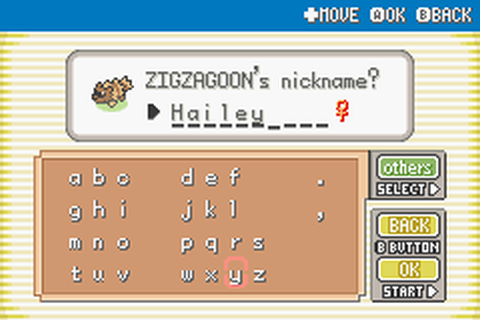 It just seemed like a good name. Hey you've got a decent team going so far. Zigzagoons can have pickup too so you might want to check for that. It's a super useful ability. Last edited by Cleobel; 01-06-2018 at 03:18 PM. A very close call after a critical hit. 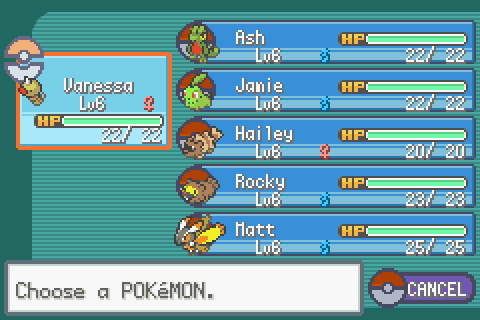 After leveling up, here is the beginning crew! 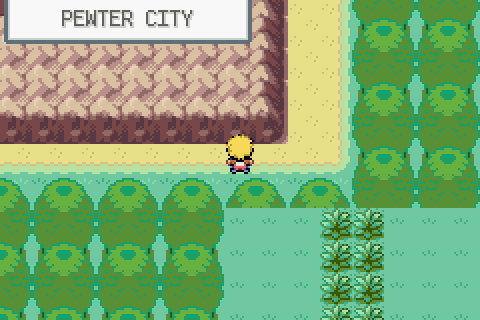 Am I in Pewter City? 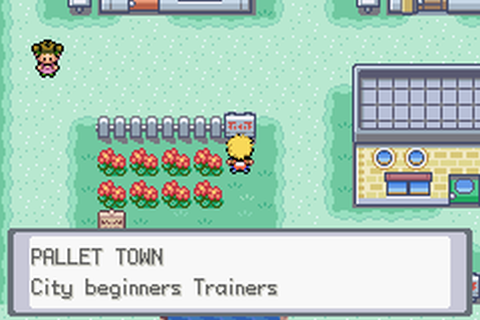 Yes, a shortcut into Pewter City! 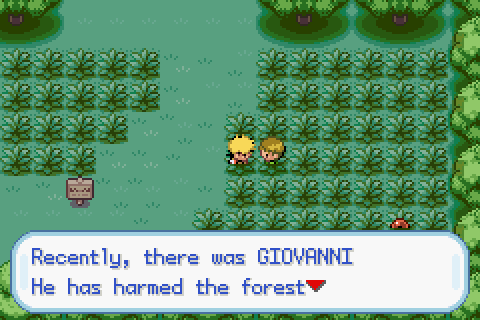 However, I went through the forest like a man. Caught a Weedle on Route 2. 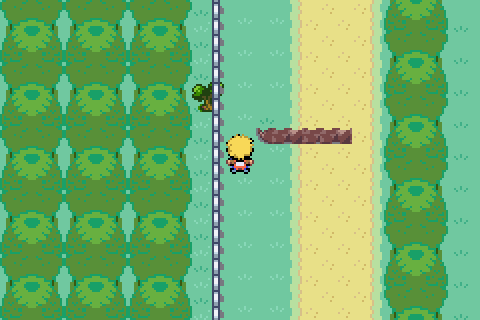 There is actually an invisible block in front of me, next to the tree growing through the fence. 10/10 for optimization. 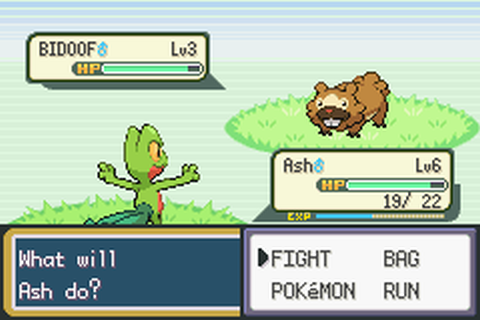 This was my forest catch; called him Matt. 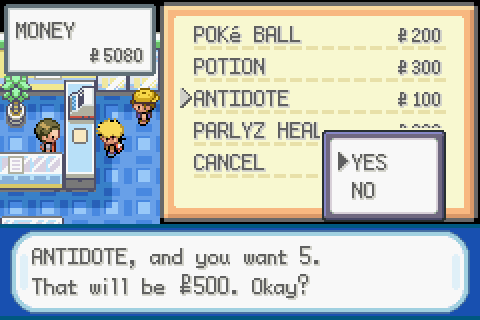 Bought some potions and antidotes before going off to the forest. 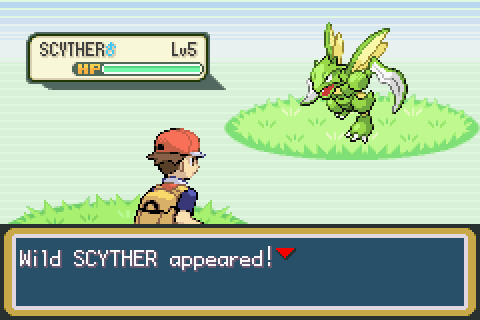 I WISH THIS WAS MY FIRST ENCOUNTER. 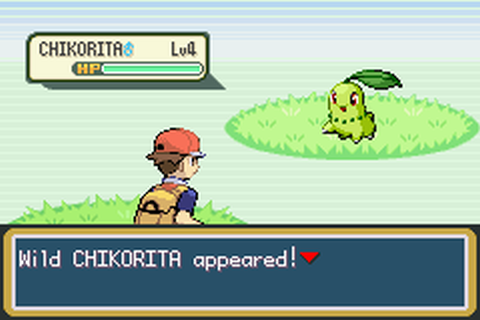 Nice a wild Chikorita! I really should try a ROM some day. The randomness makes it look really fun.